The M.A.R.C. holds any of the coil types that we manufacture. All seams are sealed with silicone and weather-stripping to ensure a leak-free case. 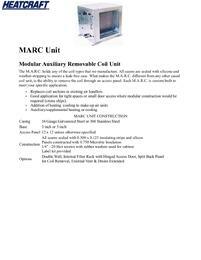 What makes the M.A.R.C. 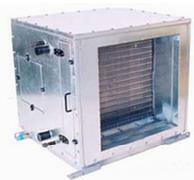 different from any other cased coil unit, is the ability to remove the coil through an access panel. Each M.A.R.C. is custom built to meet your specific application. Good application for tight spaces or small door access wehre modular construction would be required (cruise ships).